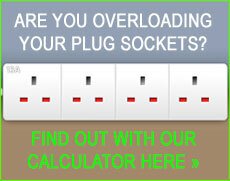 Why to choose us as your local Ruislip electrician? Whether you just need general electrical repairs or a complete electrical rewire, dkp Electrics provides vastly experienced electricians you can trust to give you a fast and efficient solution to any electrical needs or problems around the home or workplace in Ruislip, West London. Our services are available all over Ruislip, West London and beyond. At dkp Electrics we offer a huge range of services covering all aspects of electrical work. All of our electricians have all the necessary experience to carry out any electrical tasks and are all NICEIC Approved electricians. With a quality service and highly competitive prices, we offer Londoners a service to be proud of. Our huge team of electricians consist of specialists that are elite in the more detailed and complicated projects that can arise. Tasks such as laying underfloor heating and in many cases installing CCTV that can be accessed via the internet from your computer of smart phone, are all jobs that need completing from start to finish to the highest standard at all times. We can work with everything from phone sockets and audio sound equipment through to boilers, ovens and even garden lighting or patio heaters for example. Using our knowledge in this industry, there is no project that is too big or too small for us to complete. If it's a big project, we will always talk to you about your ideas and suggest ways to improve or cut down costs... after all, our aim is to provide the most effective solution to your resolve your electrical fault in a time efficient manner. By having your ideas in mind, this enables us to accurately suggest the most affordable quotation for you, so you don't have to worry about costs further down the line. If you are in need of some helpful advice in reducing your energy bills or perhaps you are interested in having solar panels installed on your roof? No matter what you require, our highly qualified team of electricians will be able to meet even the most difficult of requirements. As we already have high energy prices these days that seem to just keep going up and up, energy saving is one service we highly recommend to all our customers whatever their situation. If you decide to opt for one or more of the services we offer, you can be sure you've made the right choice, and you can feel confident that you will receive an honest and friendly service of the upmost professionalism. DKP Electrics can offer a wide range of electrical services, so whatever your electrical needs are, you can trust us to provide a friendly and efficient electrician in Ruislip today.